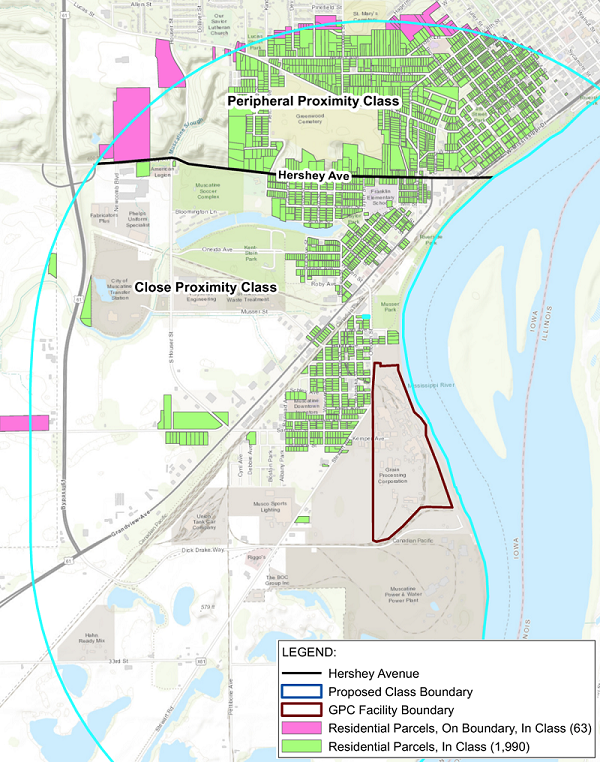 If you live or have lived (as owners, renters, or dependents) at properties in select areas of Muscatine, IA located on the map below at any time from April 24, 2007 to September 1, 2017, you may be entitled to a refund from this $45 million settlement. This lawsuit alleges that smoke, odor, and haze emitted from the Grain Processing Corporation plant caused a nuisance in the area surrounding the plant. You may be eligible to claim a settlement payment if you lived at a property in the Class Area for any period between April 24, 2007 and September 1, 2017 and you were either a (1) renter of the property, (2) owner of the property, or (3) a dependent of the property's renter or owner during that time period. If you think you might be eligible to participate in this settlement and want Refund Recovery Group to help you file a claim, simply fill out the form below. We'll contact you and take it from there. This case is open to individuals who live or have lived (as owners, renters, or dependents) at properties in select areas of Muscatine, IA located on the map above at any time from April 24, 2007 to September 1, 2017.
Who is the Defendant in this case? The Defendant is Grain Processing Corporation. For more information, you may visit the official settlement website at www.gpcclassaction.com.